Nowadays keeping track of the stock market, and more importantly your portfolio, has become easier than ever. Hundreds of different apps and websites are available for you take advantage of. 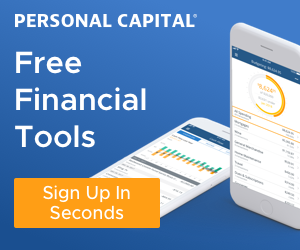 If you are researching an investing plan, trying to stay up to date on the markets or just generally like staying informed, there is an app for you. One of the first things you should take into consideration is what investing platform you are going to use. They will most likely have an app that you can use online to monitor and manage your portfolio. 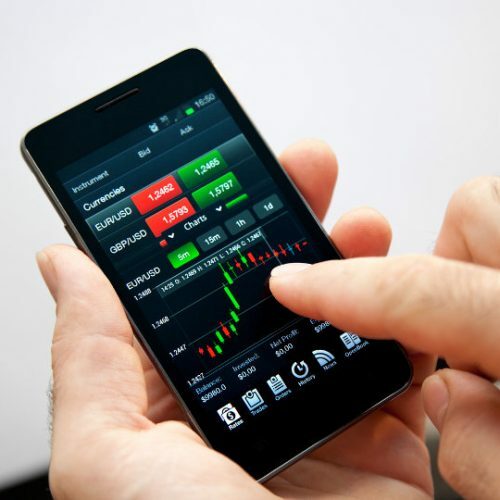 Regardless of what you currently use, here are some of the best investing apps available. TD Ameritrade: Features that come with this app include equity and option trading, real time streamed quotes and balance lists. You’ll be able to check order status and trade stocks and options with additional videos from Reuters and CNBC. TD Ameritrade charges $6.95 per trade. Stock Tracker: For iOS users, this app helps utilize the Apple Watch and streams live quotes, pre-market and after-hour quotes as well. You’ll be able to look at multiple views while scrolling through a numerous amount of portfolios all in one place. Betterment: Betterment is a robo-advisor that automates the investing process for you. You start off by completing a questionnaire, and then the Betterment app creates a custom portfolio for you. The service offers automated bank transfers, portfolio re-balancing, and dividend reinvestment. Betterment charges a fee of .25% on portfolio assets. Acorns: Acorns allows users to round up purchases and invest in a portfolio of exchange traded funds. Once your account has reached $5 in cash, it is automatically invested for you. Acorns is free for college students(for 4 years) and fees range from $1-$3 per month for other accounts. Wealthfront: Wealthfront is another robo-advisor known for automated investing and low fees. The minimum to get started is $500 and after completing a questionnaire, your funds are invested in exchange traded funds. Betterment offers clients free access to financial planning via PATH. PATH helps users set savings goals for college, buying a home, retirement and provides scenarios to help keep you on track. Wealthfront charges .25% however, is free for the first $5000 if referred by a current Wealthfront client. Robo advisors have really increased in popularity with new investors for a number of reasons, lower fees being one of the main reasons. Before investing your money you'll want to learn more about what's the difference between a robo-advisor and target date fund. Everyone loves a good analyst opinion. It’s one of the few places where you want to listen to what a pundit has to say about the Dow Jones for once. 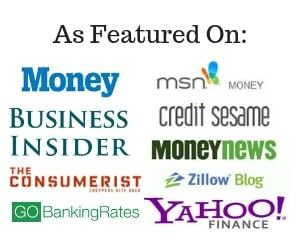 These renowned news sites will keep you updated with the most current opinions, articles, and videos. Bloomberg Business: A name like Bloomberg has earned its weight of prestige in the financial world. Bloomberg Business offers up to date comprehensive reviews about finance and business, along with market data and additional portfolio tracking tools. You can keep up to date with your companies by compiling a watch list that draws from content created on that select investment. MarketWatch: One of the most confidently accurate sources as it is published by Down Jones & Co., you can rest assured what you hear on this app can be construed as fact. While it may look like a simple bare bones app, it certainly makes up for that in the breadth of knowledge it offers. Morningstar: This app draws from multiple independent investment researches so you can gain your own insight from tailored investment research. A barometer in the app keeps you updated on the top 10 largest gains, losses and most active securities on a daily basis. Many of these apps are all manifestations of old technologies in the new age. That is to say those news apps and stock tracking tools have evolved to fit current needs. A new breed of social media and simulators apps has become important tools in the investors’ toolbox as well. StockTouch: The basis for this app is to be visually appealing. It offers strong data visualization that covers over 9 major sectors and 5,000 plus companies. You can analyze what’s going on with different colored animations and coded maps and charts that show you rather than tell you what’s going on. There is no shortage of news stories either. Scutify: This is a social media network for investors and traders. Scutify allows you to pull from various sources about what’s going on with a stock and receive direct updates straight to your device. Stock Wars: While this may be an older device, it’s great for both newcomers and veterans alike. If you’d like to test invest for free by using simulated assets on a real-time stock market, you can buy and sell virtual shares to see how they’d have turned out in the real world. Veterans can do this to see how a short term position may go or might have occurred, also allowing newcomers to get their feet wet in the world of investing. Overall, none of these apps alone are going to make you rich. Investing is heavily dependent on various market forces, your own individual plans and appetite for risk. Investing in the stock market is not akin to gambling, if you actively know why you’re doing something and have the research to back it up. A mixture of a trading application, multiple news sources, simulators, and social media can all contribute to successfully investing.